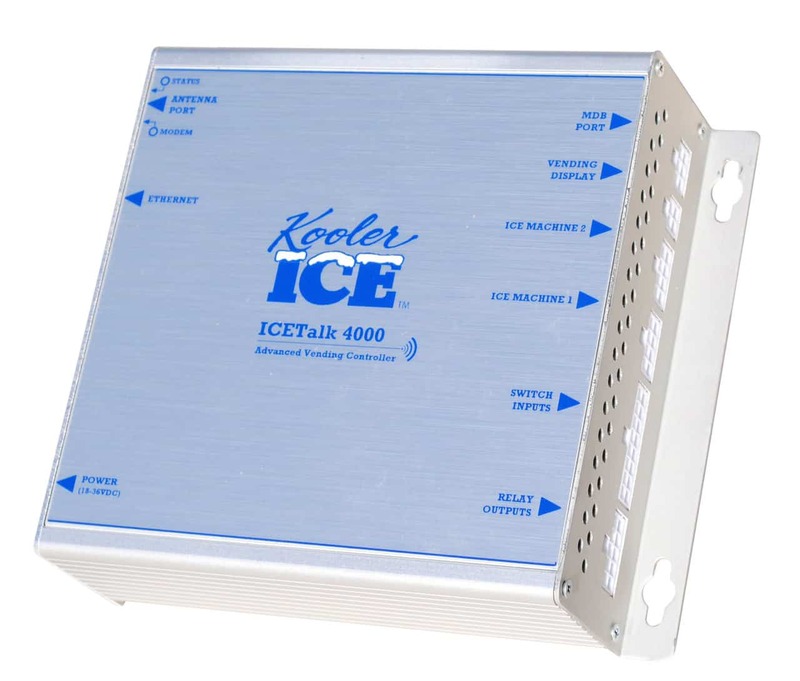 Kooler Ice’s revolutionary remote monitoring system, IceTalk, makes owning an ice machine business more time efficient and profitable than ever! IceTalk™ allows you to keep track of your machine anytime and anywhere via your smartphone, laptop, computer, or web. Say goodbye to the days of wasting time (and gas) checking on your machine! IceTalk™ is your personal “virtual assistant”! With this system you can not only manage your machine efficiently, but you can also access valuable machine data and service reports. This system allows our ice machine business owners to “Work Smarter – Not Harder” by taking the grunt work out of your ownership experience and freeing you to expand your business. Click HERE to view the IceTalk™ system in action! Receive notifications by email or text if you are out of bags, out of ice, if the doors are open, or if there is a problem with a machine component or the ice maker that would cause an interruption in your business - automatically. Remotely vend a bag of ice or reset the bill validator from your phone, iPad, laptop or computer without going to the machine. Access bag inventory and machine sales data at all times. Track machine sales by the hour, day, week or month from anywhere and store and run reports which can be exported to an Excel spreadsheet to develop your own charts and graphs. Program multiple contacts for your notifications or alerts. Access multiple machines from the same system, 24/7, via your laptop, desktop, tablet or smartphone. Records a complete history of the machines performance for you to view on the website which Kooler Ice can view to assist you with troubleshooting and equipment problems. Uses a cellular-based modem so there are no hard-wire connections or third party internet connections required.